WIKIMEDIA; BRIAN BAER, NEERJA HAJELAFor more than 30 years, Richard Lenski and his team at Michigan State University have been propagating the same 12 cultures of E. coli, transferring the cells to new media every day. The experiment has allowed the researchers to see how the bacteria evolve, and in 2008 they published results suggesting that some of the cultures had begun to use citrate as a carbon source. But it took 15 years for such citrate-eating microbes to arise—a delay Lenski and colleagues attributed to “historical contingency,” or the slow accumulation of mutations required for the adaptation. This month (February 1), however, researchers publishing in the Journal of Bacteriology suggested that perhaps the exciting development was simply a result of the experimental conditions, and showed that making certain tweaks to the culture environment could elicit such citrate-eating mutants much sooner than in Lenski’s long-running study. “We’re showing that there’s a simple genetic explanation for the acquisition of citrate mutants in the long-term evolution experiments—that there’s no historical contingency required,” the University of Idaho’s Scott Minnich, a fellow of the Seattle-based nonprofit Discovery Institute, told The Scientist. Lab-made sperm on the horizon? WIKIMEDIA, L.A. DAWSONResearchers in China have created sperm precursors called round spermatids in vitro using mouse embryonic cells, possibly paving the way for stem cell–based treatments for infertility, according to a study published this week (February 25) in Cell Stem Cell. WIKIMEDIA, CDC/MIKE MILLERA molecule that mimics murine norovirus can protect antibiotic-treated mice from opportunistic, pathogenic bacteria, such as Vancomycin-resistant Enterococcus faecium (VRE), according to a study published this week (February 24) in Science Translational Medicine. WIKIMEDIA, PATHOWhile genetic mutations are known to influence a cancer’s ability to progress, they do not appear to drive metastasis, according to a study of hundreds of colorectal cancer patients published in Science Translational Medicine this week (February 24). Rather, the researchers found several immune-related changes, including decreased abundance of cytotoxic T cells, in metastatic tumors, and mice with depleted levels of these lymphocytes had faster-growing tumors. FLICKR, NIAIDTwo monoclonal antibodies produced by a survivor of the 1995 Ebola outbreak in the Democratic Republic of Congo protected macaques from lethal doses of the virus, according to a study published this week (February 25) in Science. 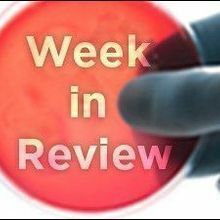 One of the antibodies was even effective up to five days after infection. Reprogramming adult human cells into stem cells in vitro does not generate harmful mutations, scientists report. Biochemical Pharmacology pulls papers coauthored by a scientist whose work has been under investigation at MD Anderson Cancer Center. Scientists grow gastric organs in vitro that can restore insulin production when transplanted into mice.